Video games have had a bad reputation since the day they were born. Whether it’s fears about violence, sexual content, or kids being brainwashed, there’s not a lot that video games haven’t been scapegoated over. 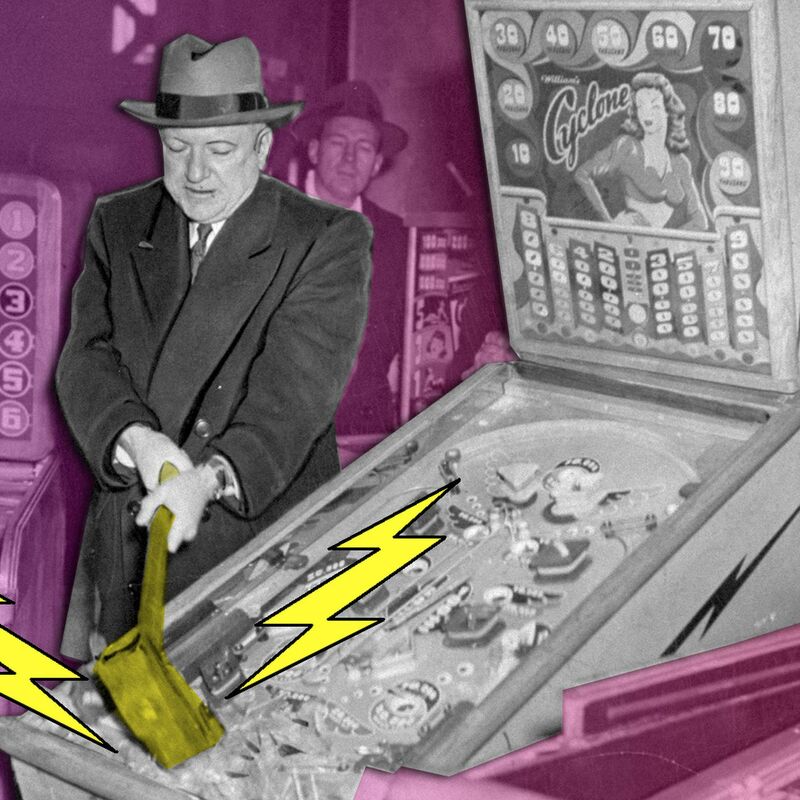 New media is often mistrusted (see: the Hays Code, the Comics Code Authority), but with games we can trace the problem all the way back to the 1930s with the invention of pinball. Early pinball machines were seen as gambling devices — and to be totally fair, they kind of were. The gambling association clung to pinball, even once the machines became more strategic and ditched cash payouts. Pinball machines were unique in that unlike slot machines, they seemed to appeal directly to children. Parents even accused pinball machines of “zombifying” children, foreshadowing language that would be used to describe kids’ relationship with video games as well. The irony here, of course, is that with the proliferation of loot boxes, some video games have come full circle, with predatory loot boxes that mimic gambling. Time is a flat circle! Check out this video to find out why pinball was banned (and for how long! ), and more about its shady connections to the mafia and to video games.